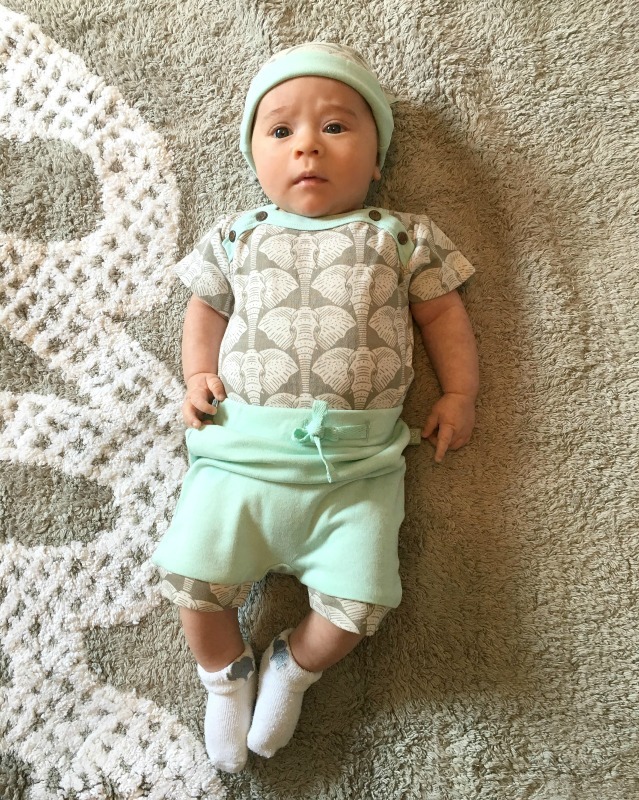 Today I'm excited to share some adorable baby fashion with you all! 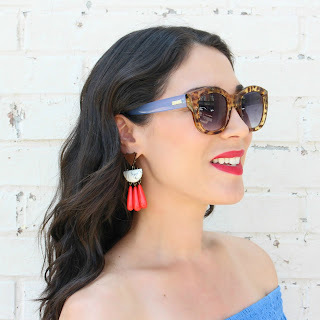 It's been a few weeks since I've blogged (life gets a little crazy sometimes), but I've got a few exciting things coming up and will be posting more often! Have you guys heard of the company, Finn + Emma? 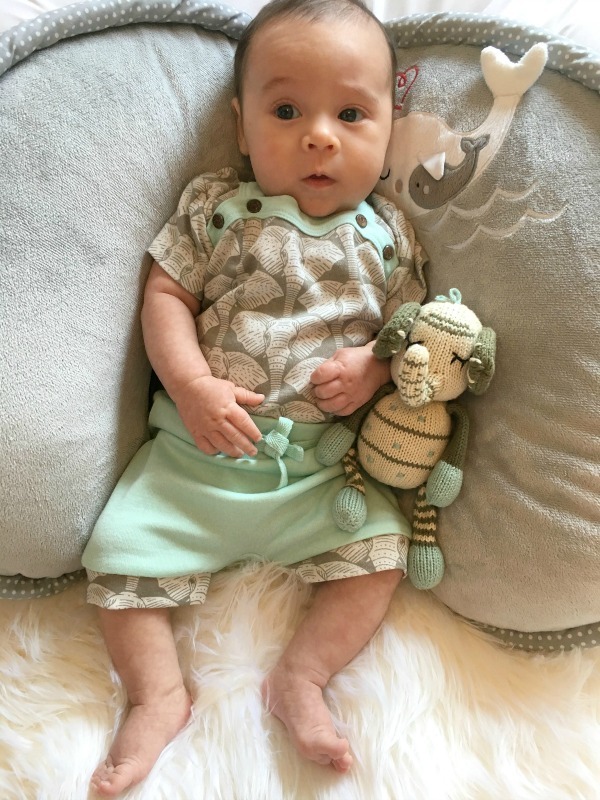 Before Logan was born, I featured this adorable elephant clothing and rattle set in a round up post of baby products (see post here). I couldn't wait to try the outfit on him when he arrived, and he finally fits into it! Finn + Emma sells stylish and modern baby clothing and toys, all made from 100% organic cotton, eco friendly dyes, and all natural wood (toys, teethers and play gyms). I love how easy their site is to shop, too. You can either shop by category, collection, or gender. 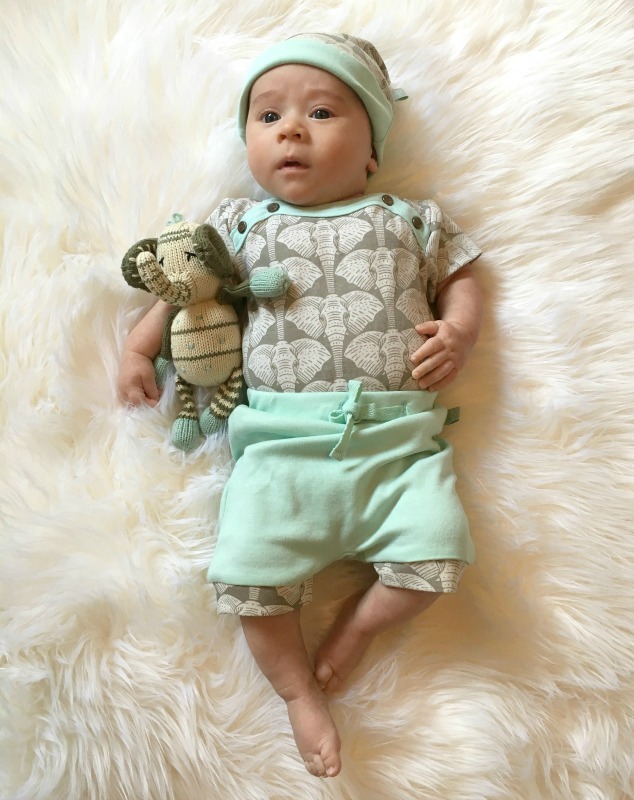 Also, many of their clothing patterns are unisex, including this elephant pattern that Logan is wearing. The elephant collection is my favorite Finn + Emma collection! I love the gray/mint color combo and I'm obsessed with all things elephants for baby boys (Logan's nursery is elephant themed!). FYI, with each of the clothing collections, you can mix and match items to make a bunch of different outfits. For Logan, I chose the short bodysuit, shorts, reversible hat and matching rattle (mine is no longer available but this one is similar). I also really like the footie and romper (two clothing items Logan is wearing the most these days). By the way, how cute is the elephant pocket on the back of the shorts!? Some of my other Finn + Emma favorites are the arrow collection (this blanket looks so soft), the jungle play gym, and the bandana bibs! 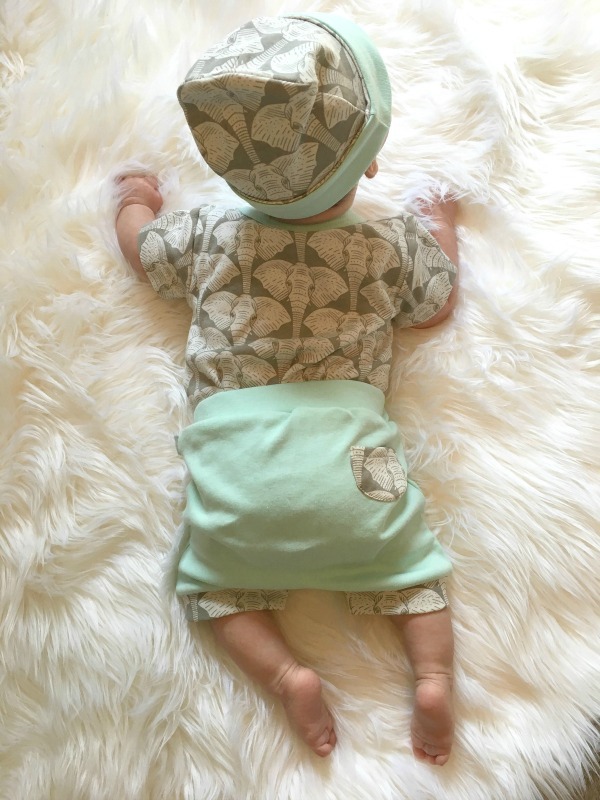 If you have a baby, are expecting, or shopping for gifts, be sure to check out Finn + Emma. I'm so impressed with how high quality Logan's outfit is...and SO soft, too! Also, follow them on Instagram! They have a really cute account and regularly host giveaways. Products were provided for feature. All opinions are 100% my own. Wonderful and of course beautifully dressed up. I just love how this little baby looks in that trendy clothes, such an adorable picture. He or she is really going to be a stylish born person soon.